Earth Day is celebrated in many countries on the Vernal Equinox (March 20th or 21st) which marks the moment that Spring begins in the Northern Hemisphere and Autumn in the Southern Hemisphere. In the United States and several other countries, Earth Day is primarily celebrated on April 22nd of each year. The concept of Earth Day began in the spring of 1970. Exactly how and when it was conceived, as well as who was responsible for its origination, is still debated. The first celebration of Earth Day was on March 21, 1970 as a day to celebrate the natural wonders of our planet and to think about Earth's tender seedlings of life. This celebration was first proposed by John McConnell in early October 1969 in San Francisco, California. UN Secretary General U Thant supported John McConnell’s global initiative and spoke in its behalf at a Peace Bell Ceremony at the United Nations on March 21, 1971. The United Nations Earth Day ceremony continued each year with the ringing of the U.N. Peace Bell at the precise moment of the Equinox, followed by two minutes of silent prayer or reflection. The Earth Society is largely responsible for these ceremonial activities. One of the member nations of the United Nations arranges to sponsor the event. Corresponding ceremonies are held at the same time in various cities around the world. 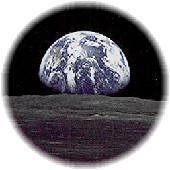 The common April 22nd celebration of Earth Day was also first celebrated in 1970. This event, spearheaded by Wisconsin Senator Gaylord Nelson and Harvard University student Denis Hayes, involved teach-ins that addressed decades of environmental pollution. The first event was observed by twenty million Americans, most of them students. Arbor Day activities were modified to emphasize the critical importance of the environment and to make the American public aware of the destruction of the earth's natural preserves. The sponsors hoped to start an environmental movement that would alter industrial practices and human consumption. The event inspired the US Congress to pass clean air and water acts and to establish the Environmental Protection Agency. Since the first event in 1970, the holiday has been an annual event for people around the world to celebrate the earth and renew their commitment to building a safer, healthier and cleaner world. Although Earth Day is not a federal holiday, it has helped Americans realize that they can and should do something to protect the environment.